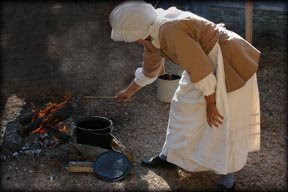 "Wear it out, use it up, make it do or do with out"
Have you ever considered the early American tradition of the Make-do? 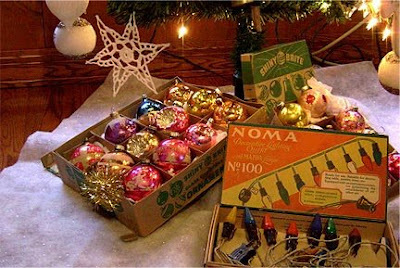 Of the days when nothing was absently discarded the make-do became a way of extending the life of a family treasure and providing a gift for a child when a store bought item would be out of the question. A favorite tea cup that had been broken found a new life as a lovely pin cushion. A much used candle stick whose holder had snapped off was just the thing to use as the base of a child's dolly or a hat stand. Not one scrap of fabric was ever thrown away for it was sure to find a use later. The tiniest bit would be used for a dolls shirt or a square in a quilt. Silken threads were wound around a bobbin to save for embroidered embellishments later. A tiny bead, button or a few inches of lace would find their way to trim something special. 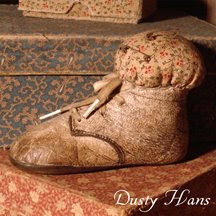 Even using such things as horse hair, saw dust or sand as stuffing. The ingenuity and resourcefulness of these pioneering women something to be honored today. Most primitive and folk artists today earnestly try to recapture that feeling with the same pride and attention to details as our ancestral mothers. 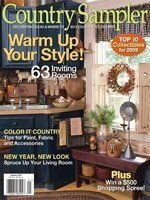 The make-do is a folk art must have and most collectors have at least a few placed in and about their homes. 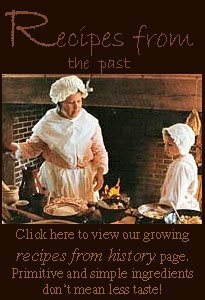 They are as much a part of our history as a hand made quilt or an old oil lamp. These items bring about feelings of comfort to us somehow. You can almost envision a prairie child playing with her favorite dolly. decorative appeal these pieces bring to our homes. And who knows, maybe someday a story like this will be written about us. 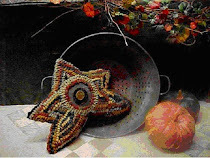 Whether it be a lovingly hand stitched sampler or an intricate piece of detailed fraktur work, folk art is a rich part of our culture and it celebrates our heritage. 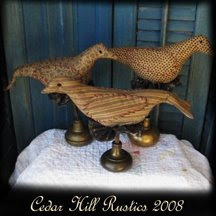 Folk art is defined as art which has been crafted by everyday folks with out a formal art training but whose unique styles and craftsmanship have been passed down through the generations. 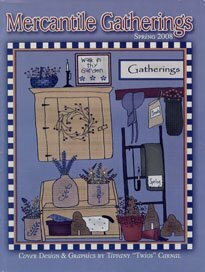 Take for example a Baltimore album style quilt with all of its detailed appliqué work or the hex signs that are commonly found on barns around Lancaster County Pennsylvania. The work of those common folks has become an earmark of their culture and time. As folk artisans of today, many of us craft traditional pieces that are steeped deeply in our own cultural history, only we add our own artistic interpretations to our work, thus carrying on the tradition of “folk” art. 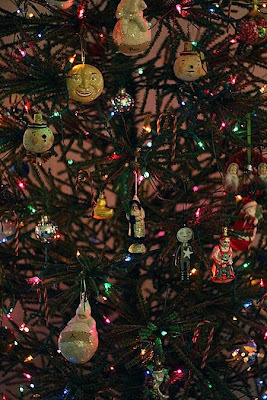 One tradition that many folk artisans of today still create is the wax ornament. Molding and carving beeswax has its roots running deep into Germany. We have found beeswax ornaments in German museums that are well over 350 years old! 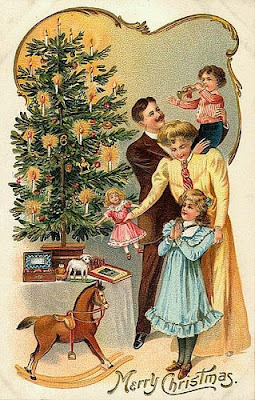 At Christmas time, these wax ornaments were carefully crafted by German housewives by pouring melted beeswax into wooden cookie molds carved from fruitwood. These elaborate carvings usually depicted scenes of St. Nicholas, animals, birds, guild workers and pastoral/county living. Many times the wax was then elaborately painted and further embellished by carving or adding other small wax pieces. 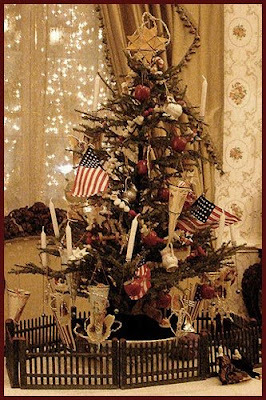 When the first wave of German immigrants came to America during the early 18th century, they brought with them their prized cookie and confection molds and the tradition of beeswax ornaments soon became steeped in our own culture and a cornerstone of our early Christmas traditions. 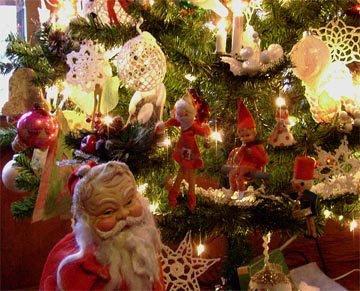 During the nineteenth century, wax ornaments were sold by German toy manufacturers and were a popular Victorian find in most American homes. Usually forms of full bodied angels, Belscnickles or country folk were the most popular. 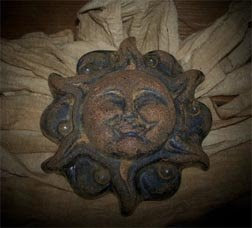 These antique wax ornaments are very rare finds today. 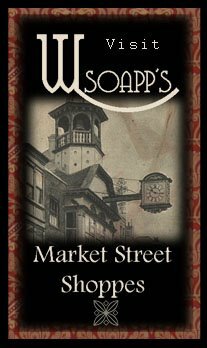 A warm welcome to the family home of WSOAPP! 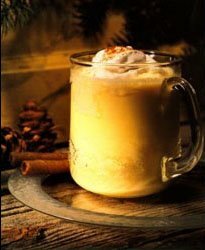 Here, we are celebrating the holidays with an olde fashioned handmade Christmas, and we invite you to grab a hot cup of cider, sit back and join us for a while. There is no gift more cherished or kept closer to the heart as a handmade gift. Unlike manufactured presents these gifts are often one of a kind and irreplaceable for the recipient. The quality, attention to detail and the uniqueness can only be found in hand crafted items. They will strike a memory like nothing else can and often become heirlooms that are passed down through generations. 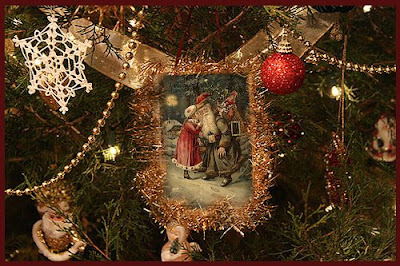 They bring back precious memories of days gone by when Christmas was a time when great thought and care went into each and every package that was placed beneath the tree. When we had time away from the hustle and bustle of the world outside to really think about what that special someone would love most and keep always. Wonderful scents filled the air. 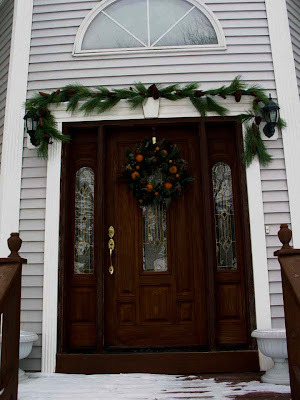 Fresh pine, warm spices and sweet vanilla were the first impressions that greeted cold travelers coming through the door. 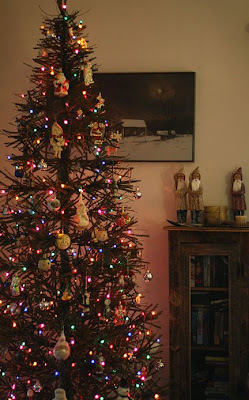 Then the sparkling lights and a crackle from a warm fire. 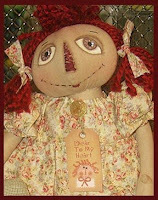 A twinkle from a candle and a special doll resting on a table top brought oohs, awes and smiles. Sweet tones of soft holiday music. A garland with never seen before ornies nestled here and there. with special hand made vintage tags made the anticipation that much more exciting. 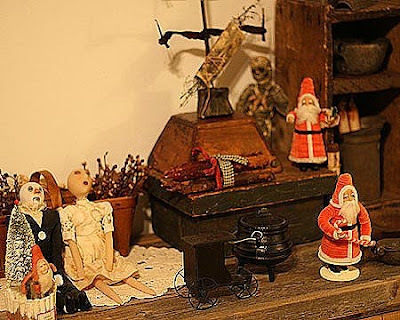 We invite you to bring back the past and make this a handmade Christmas. You can feel good about purchasing a handmade gift because it is something that is so much appreciated by your friends and loved ones. And the grateful artist that has lovingly created the special piece feels a part of your joy and is supported by your patronage. Well, it's a virtual house walk! We promised you all we would roll out the red carpet, so here it is; participating members have opened their homes and shared their Christmas decorations inside and out. The nice thing about this house walk is, you don't have to get cold while taking the journey. Sit back, enjoy the view....and maybe even pick up an idea or two. 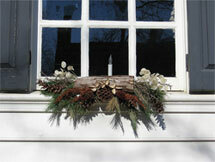 From the home of Linda of Meadowbrook Cabin. We LOVE the vintage and retro look of her holiday home. 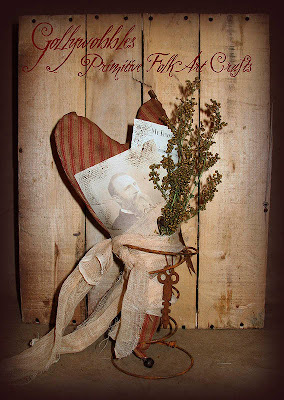 This set of trees and decorations come from the home of Stephanie over at Old World Primitives. We love her style; She truely decorates in the primitve way! 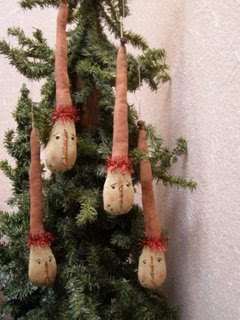 This sweet, little set of themed trees comes from the home of Gina at Cat Nap Inn Primitves. A few of the themes for Gina's trees here is a kitty tree and a biker tree! 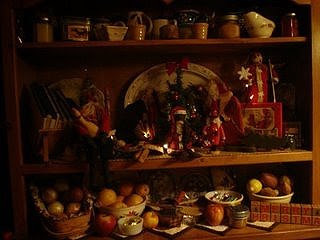 This is Gina's dining room hutch where she keeps her Santa collection, including a Santa from a fellow wsoapp member. 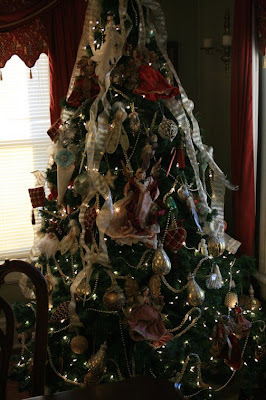 This gorgeous tree comes from Shirley at Dolls in the attic. 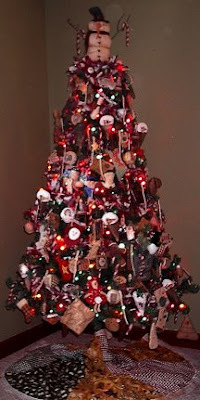 This tree from Shirley of Dolls in the attic features her handmade snowman ornaments. They are just so perfect for a prim themed setting! 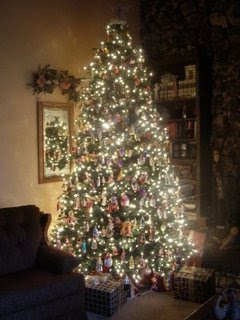 This beautiful tree comes from Mandy over at Aunt Manny's. Everything on it is handmade even down to the garlands! This is not Mandy's usual style of tree for the holidays, she has a new addition to her household this Christmans, (the cute, furry kind), and has opted to put up an artificial tree up rather than fight with her new puppy and housebreaking. This tree comes from Mare at Oak Hollow Primitives. 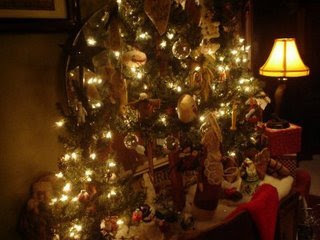 Her tree is in a Victorian theme since she lives in a Victorian home. 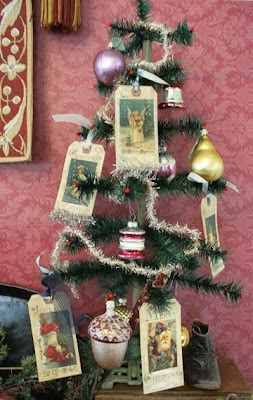 This tree also sports plenty of handmade ornaments, including paper cones and antique scrap ornaments. This real feather tree is at Mare at Oak Hollow's home. 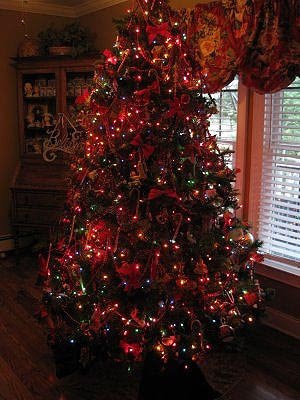 It is one of her favorite trees to decorate with, because it is so simple and primitive. 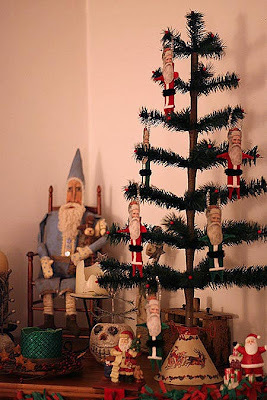 This tree comes from the home of Nancy over at NT Dolls .